Sony has launched new VAIO series notebooks in NW category .VAIO NW notebook is an entry level notebook of Sony which is released as a competitor for existing models of HCL ,Acer and Lenevo .This model is intend for people just looking for a laptop with web access and basic multimedia facilities .VAIO NW notebook specification includes Intel 2GHZ Pentium processor with 160 GB hard disk and 2GB Ram for base model . Price range of VAIO NW notebook is around 32000 , which definitely not worth for this configuration .But if you are Sony fan and likes to carry the cool looks Vaio laptops at affordable price ,then NW series is for you . Sony VAIO NW notebook has 15 inch monitor with support for millions of colors . NW notebook series features Intel Pentium Processor T4200 2 GHZ , 160 GB hard disk drive with 2 GB of RAM . 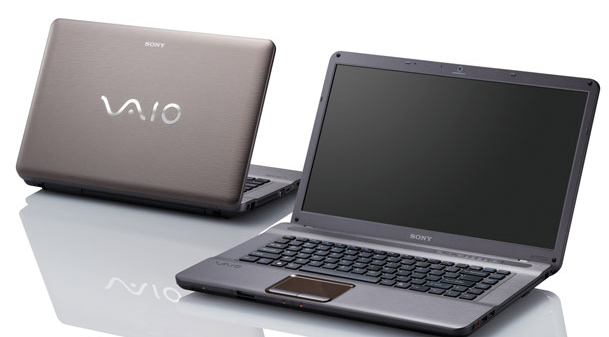 VAIO NW notebook include Wireless LAN ,Bluetooth ,USB HDMI output connector and other standard communication facilities . Sony VAIO NW notebook comes with Windows Vista Home Basic pre-installed . Available in two colors . Includes a collection comprehensive Sony VAIO native device multimedia softwares like Sony PMB , VAIO Movie Story and VAIO MusicBox . Sony VAIO NW notebook was launched in India on June 8 2009 . Sony calls VAIO NW series as life style oriented PC ,and is available across all Sony stores for price range 33000-35000 .